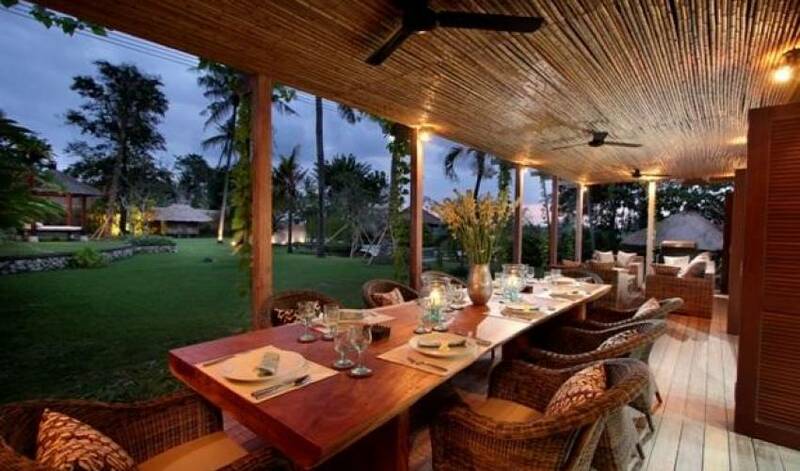 "Villa 3281" has for many years been considered one of Bali's most luxurious villas available for rental accommodation. 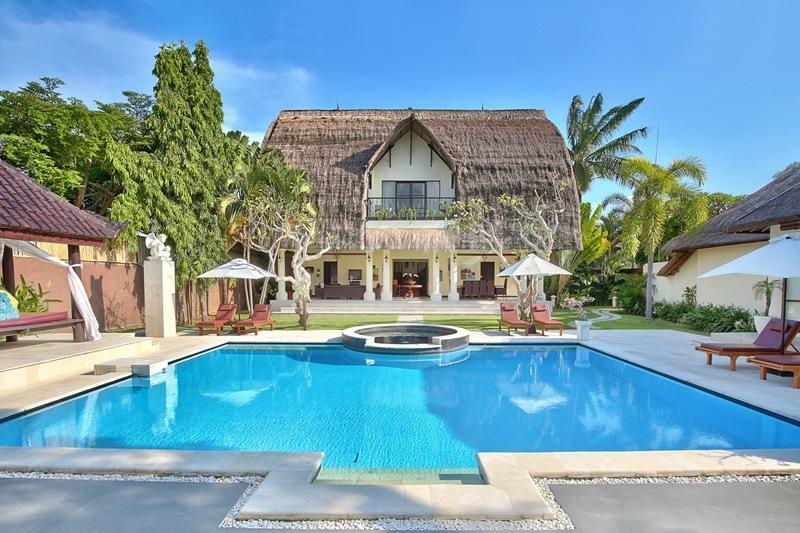 It is the "Classic Villa" and the word "Istana" means palace, which is true of its tropical regal appearance..
Set in beautifully landscaped, gardens with views over terraced rice paddies, the position of the house enables one to enjoy the ocean breezes, as well as the famous Bali sunsets. 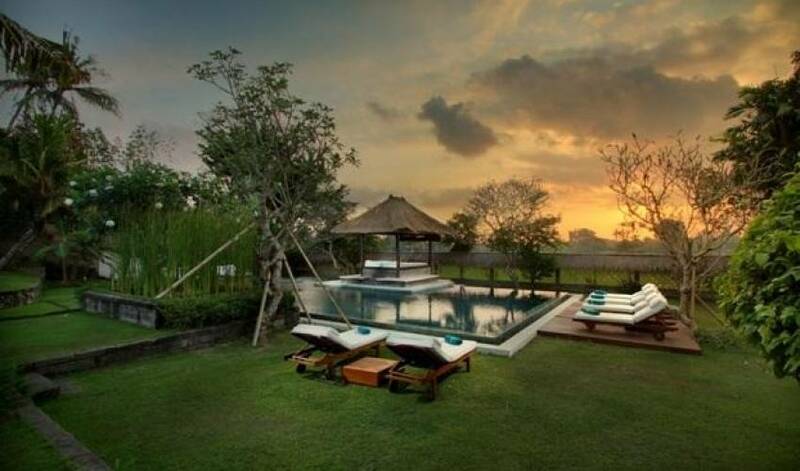 Within the gardens there is a temple, bale (traditional Balinese pavilion), sun beds, lotus ponds, 18-meter swimming pool, and a leveled lawn area for sports as such as volleyball, or croquet. The house itself is positioned around gardens and ponds with rooms joined by canopied walkways. The upstairs master bedroom is reminiscent of colonial style with a sitting area and balcony covered in creeping vines. With a total of 5 stylish bedrooms (each with TV, DVD player), each has an ensuite bathroom alfresco. 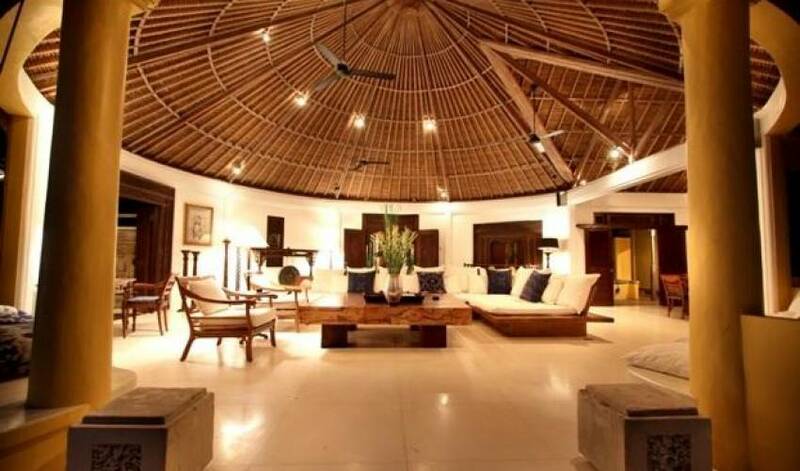 The main large circular living room of Villa 3281 is the focal point of the entire house overlooking the sprawling garden beyond rice fields. The large sofa and ample sitting areas endow it with a gravitational pull for guests to relax and socialize. 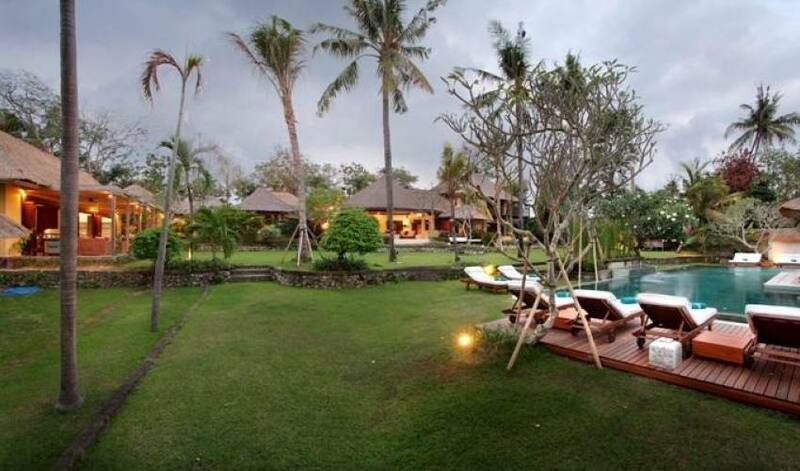 Banjar Semer/ Kerobokan District, 10 minute drive north of Central Seminyak, 5 minute drive to beach, private estate. 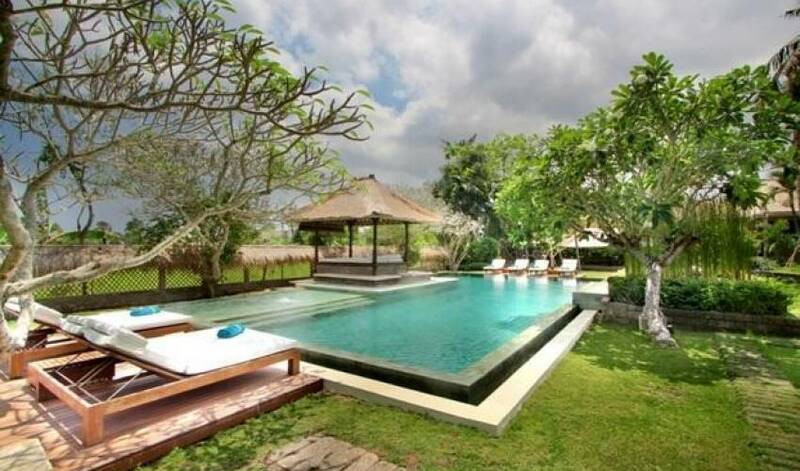 The "Classic Villa" Property size: 46 are/ 4,600 M2. Large garden over looking rice fields. 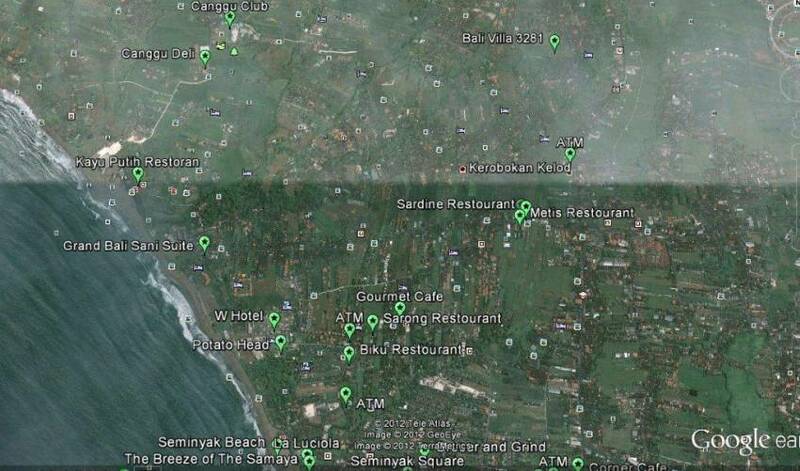 Abbeville- ‘At Home in Bali' book (1997)and Taschen- ‘Living in Bali' book (2005). 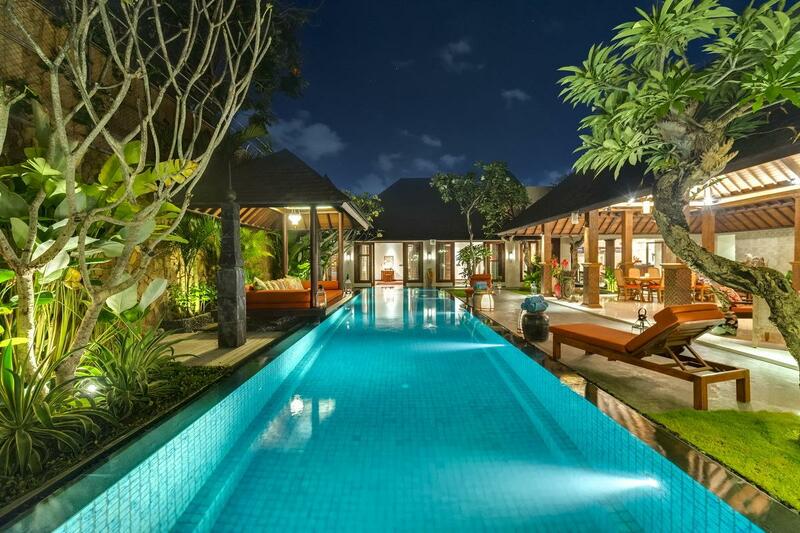 The Classic Villa/ Luxury Villa- beautifully renovated in 2011.